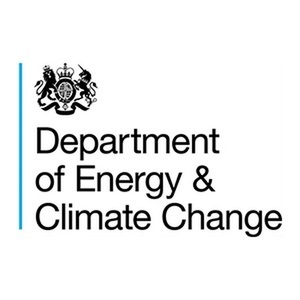 The DECC faces 90% staff budget cuts – UK’s climate plans could be in danger. Released on Friday the 3rd of July, the analysis of the Green Alliance has said the DECC could have just over £350mn for all non-ring-fenced activity in 2017-2018 – which includes; health, education, development budgets and major DECC programmes. The Green Alliance has estimated that once all official and unofficial projected spending was taken into account the resource spending would be dramatically cut and by 2018-19 only £40mn would be available for all staffing, analysis and policy implementation functions – from £402mn in 2014-15. Former energy secretary Ed Davey said that “cutting DECC’s head count so dramatically would damage economic growth and undermine private investment. How does this affect me, the consumer? Jim Watson of the UK Energy Research Centre, Catherine Mitchell of the University of Exeter, and Paul Ekins at University College London warned of higher household energy bills for consumers if DECC’s budget was cut too far. “Costs to consumers from energy policy are likely to be higher, and energy supply less secure, if government does not protect its in-house expertise to negotiate contracts with the energy industry, to complete energy market reform, and to develop new energy saving programmes for the most vulnerable customers, it’s vital that government protects its impressive track record in climate diplomacy”. Scott Byrom energy expert makes this concluding statement: “This is a crushing blow to DECC’s existence and their mission “to power the country and protect the planet”. Instead, it looks like they’ll be unable to do either thanks to suggested cuts imposed by a government who look set to pull a U-turn on energy efficiency to reduce bills, secure sustainable energy sources and protect the environment. Combined with a ruthless pursuit of rolling out fracking, the future of the UK energy market looks bleak for the majority of us unless you have a large shareholding in companies such as Cuadrilla”.